New Delhi, Nov 2 (IANS) With the number of trends increasing by the day and everyone following them, it has become necessary to bring a twist. 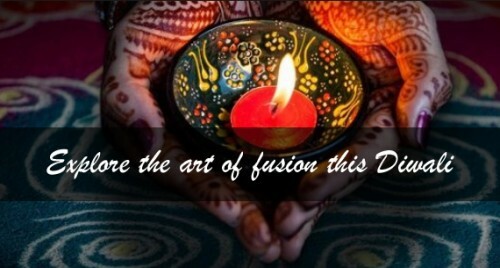 Try fusion wear this Diwali and steal the show. Tanvi Malik- Co-founder of FabAlley and Indya lists some options. *A statement making trend of the season is tunic and crop top with voluminous and dramatic sleeves. *Dhoti pant paired with gorgeous peplum tops is one of the most popular fusion styles. *High Slit tunic paired with a gorgeous maxi skirt gives a very fusion edge to your outfit. *Beautifully structured and tailored dhoti pant paired with short tunic and crop top and statement jewellery is the staple fusion look this festive season. *Ethnic skirt with intricate details paired with solid satin shirts is also one of the signature festive look this year. *Layered tunic with attached skirt is a festive trend that is gaining popularity. *Forward falling attached dupattas, embellished or sheer capes and detailed ponchos are going to be the major game changers in the ethnic wear segment this festive season. *Fusion has taken over fashion space all over the globe since the last few seasons, and finding clothes with an ethnic touch, be it Indian or any other cultural motif, is something all the fashion 'IT' girls are wearing the world over. * Pair a choli with a maxi aztec skirt, or go a little more demure with an anarkali worn as a dress and sneakers on your feet. *An embroidered top tucked into high-waisted jeans, or even a kitschy printed saree draped over pants the way all the cool girls in B-town are doing it. * Just remember you can never go wrong no matter what you pick, for there's nothing too OTT in today's fashion landscape.